How can I see an apartment? Email or call the leasing agent to schedule an appointment. We are open from Monday thru Friday 10 -6, and from 10:30 – 5:30 on weekends. Residents should earn 45 X the monthly rent, have a good credit score, and 6 months’ worth of rent in liquid assets in a US Bank Account. If those requirements are not met, in most instances we may accept a guarantor, extra security, or Insurerent. How do I communicate with my Super? You can email or call your super. You will be provided with a list of contacts once you’ve been approved. What are the move in / move out procedures? Move ins are scheduled with the building superintendent only after the applicant has been approved. Move ins and Move outs are Monday thru Friday, from 10-4. There are no weekend move ins or move outs. Yes. We have a portal where you can pay your rent online, or set up auto pay, using either using a checking account, credit or debit card. Fees do apply. What form of payment do you accept at lease signing? Certified Checks, Cashier’s Checks, or Money Orders are the only acceptable form of payment. Do you accept Insurent, Jetty or The Guarantors? Yes we accept bonds from all three companies. We do, but we require a personal guarantor for any corporate lease. 24 – 48 hours, once all the correct paperwork has been submitted and leases have been signed. A deposit equal to one month’s rent. In cases where the applicant does not qualify, we may ask for extra security. Last 2 years’ tax returns, 2 recent pay stubs, 2 recent bank statements, a landlord reference letter, and a letter verifying employment or a CPA letter if self employed. I don’t meet some of the qualifications. Can I still apply for an apartment? Yes, you can still apply, and we will provide you with some options in order to qualify you for the rental. Do you combine incomes to meet the income requirements? Yes, we combine residents’ incomes. We will also combine guarantors’ incomes. Yes, we accept guarantors from all over the US and Canada. Guarantors must meet a 75X the monthly rent income requirement. Yes, there is a $100 application fee to apply. Is there an additional charge for Sky’s The Limit Concierge?  STL Concierge is a free benefit provided to you as a resident of Manhattan Skyline. If your service request involves a purchase, for example theatre tickets, or housekeeping or errand service, you are responsible to pay for those items. However, there are no additional hidden service fees added to these amounts, and our service is always free. Why am I providing my credit card to Sky’s The Limit Concierge? You will only be asked for a form of payment if the concierge is making a purchase on your behalf and at your request. If this is the case, the concierge will send you a secure e-form from concierge@stlnyc.com. This simple form can be signed electronically and it provides a secure transfer of your credit card information to our concierge. How do I access Sky’s The Limit Concierge? What is the benefit of using Sky’s The Limit Move In Services? Our concierges will call the cable company, set up your installation, transfer your utilities and all the other time consuming tasks associated with moving in. Our concierge also works with moving companies who have been pre-screened and who already have pre-approved Certificates of Insurance. This will save you additional steps.